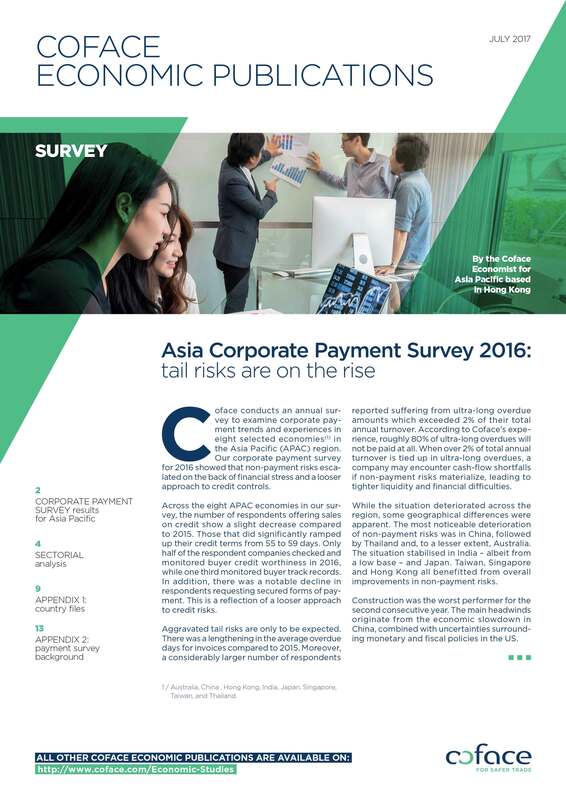 According to Coface’s survey for 2016, non-payment risks escalated on the back of financial stress and a looser approach to credit controls. The situation has degraded compared to 2015: credit terms going from 55 to 59 days, less monitoring, fewer requests of secured forms of payment and a lengthening in the average overdue days for invoices. The most noticeable deterioration of non-payment risk was in China, followed by Thailand and Australia. As for the sectors, construction was the worst performer for the 2nd consecutive year.